I’ve featured some Laura Mercier products on my blog in the past and although it is an expensive brand it is definitely one of my favourites for luxurious skin care. A particular favourite of mine are the body souffle’s. The Ambre Vanile Souffle Body Creme has appeared on my blog before and is a well loved product I have raved about a lot. This still remains my favourite scent from the range but the first one I ever tried was actually the Creme Brule scent. 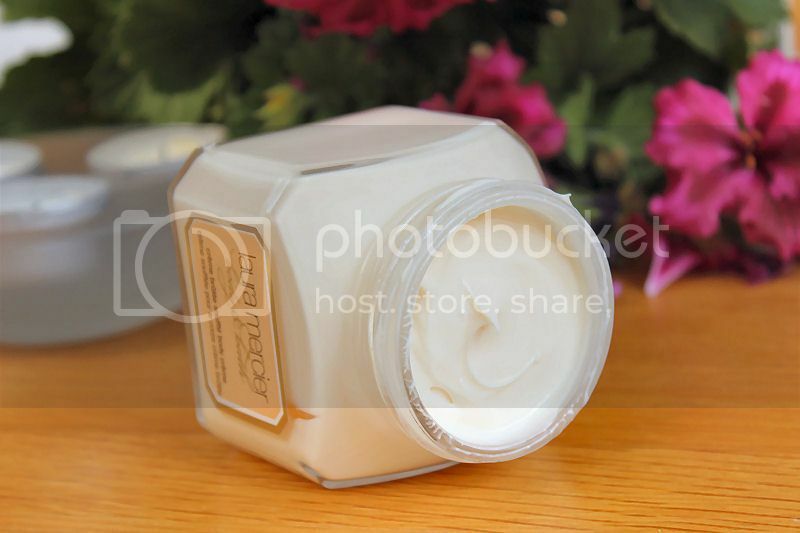 The packaging is the same so sports a chunky glass jar which shows off the luxurious product hidden inside perfectly. I love the unusual shape because it is more interested than others on the market and somehow it makes it feel more expensive. The Souffle Body Creme is a thick, rich cream which glides effortlessly over the skin and isn’t greasy or heavy in the slightest. Considering how thick the formula is it absorbs quickly and it’s beautiful scent lingers on my skin for several hours. The fragrance is exactly as the name suggests, of Creme Brule so has a deep honey scent with vanilla tones. It literally smells good enough to eat. Despite being expensive I do think the Laura Mercier Souffle Body Creams are worth the high price tag. They smell absolutely delicious, the formula is thick and nourishing and my skin is left smooth and hydrated. You also need to use very little with each application so it lasts ages. 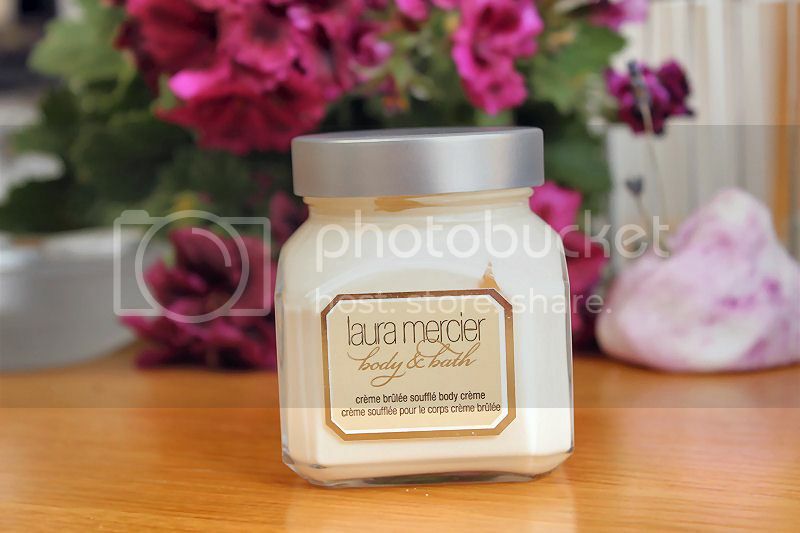 You can buy the Laura Mercier Creme Brule Souffle Body Creme from a variety of stores including Space NK for £44.50 for a 300g tub (bigger than the one pictured here). 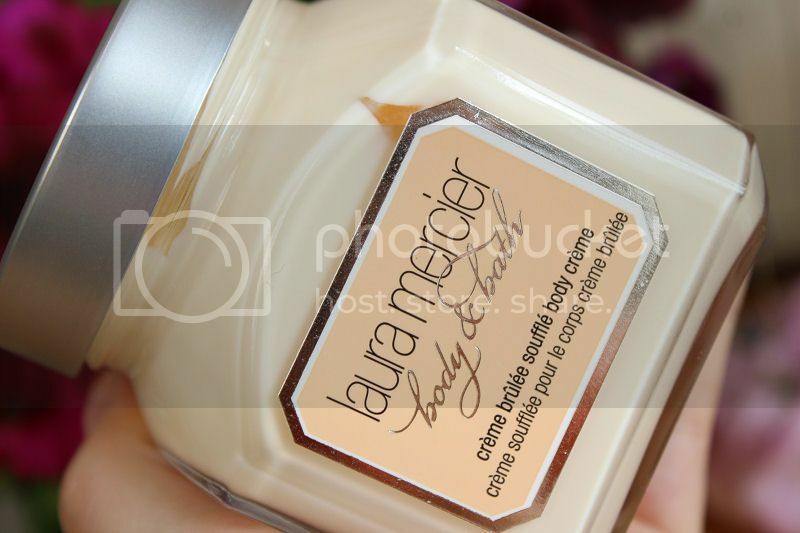 What do you think of the Laura Mercier Creme Brule Souffle Body Creme? I love these so much! 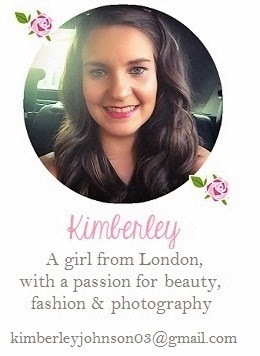 The Creme Brûlée is definitely my favourite scent too – just wish they were a little more affordable! Your photographs are so beautiful, makes me want to smell it so bad! I've never used them before but I think if I was going to try one it would be this scent! Thank you for your lovely comment! The Creme Brule scent is amazing! I agree, they are expensive but look out for them in the sales.. You can pick up some great deals on the gift sets! I'm really glad you like my photo's 🙂 I've been working really hard on them so that makes me very happy! I haven't tried this brand, but it looks rich & I'm sure it smells wonderful too! Lovely review! Hey sweetie, come & join my giveaway to Win Gold Elements Truffles Infusion Brightening Eye Cream Worth USD 599!! Giveaway is Open to All Worldwide!! good This application is usually not offered on google play shop, I like this guide to work with. It is certainly incredibly convenient and SnapTube App Android nice. good In general, this is an outstanding, innovative bed Best Crib Mattress Reviews the cover off as well as wash it in the washering best.